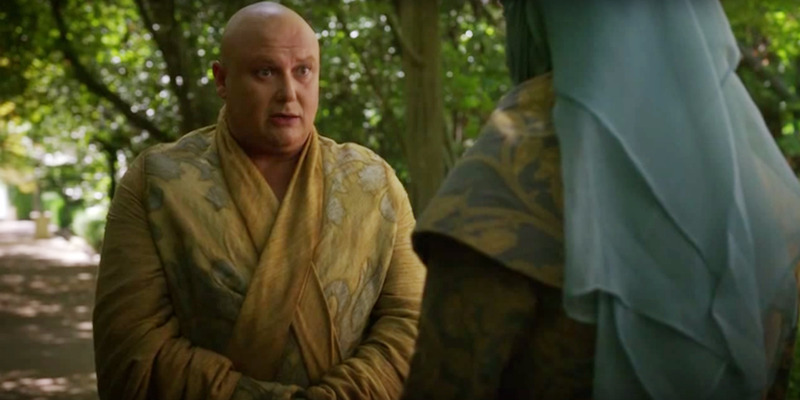 HBO via YouTubeLord Varys always seems to know what’s going on all over Winterfell. During the Battle of the Bastards on “Game of Thrones,” Sansa showed up to Jon Snow’s aid with Littlefinger and an entire army. This came after Littlefinger, sometimes a friend and sometimes an enemy of the Starks, offered to help Sansa take back Winterfell and Sansa said no. Littlefinger is an enigmatic character. His loyalties can change depending on the day. Throughout the show’s run, he has betrayed the Starks and helped them as well. Nobody seemed to realise that Lord Baelish had an entire army behind him. However, there was one person who saw it coming. And it’s not who you’d expect. Olenna then agrees with him that Littlefinger is not to be trusted. It would not be surprising if Varys knew that Littlefinger was going to command an army. HBOLittlefinger helped the Starks take back Winterfell. But nobody knows where his loyalties really lie. It has been heavily implied since Littlefinger killed Lysa Arryn in season four that he acquired her army, known as the Knights of Vale. Varys always seems to know all the gossip in Westeros and across the sea. So it would be no shocker if he knew about this as well. Another thing that both Varys and Olenna know, that nobody else seems to realise, is how dangerous Littlefinger is. In season five, he promised to take Winterfell back for Cersei. 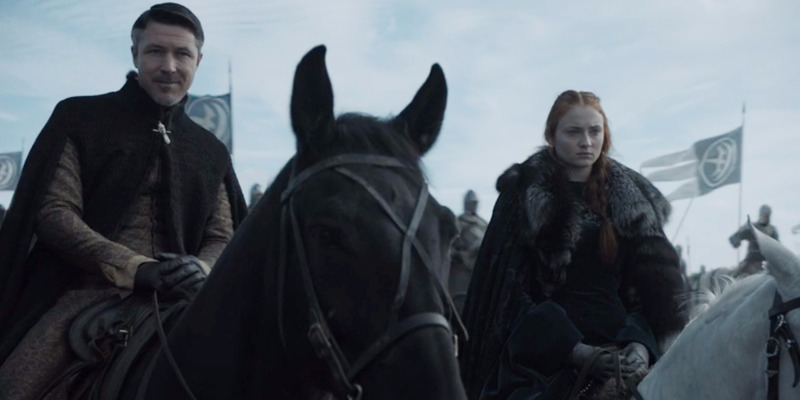 There is no word yet of whether or not Littlefinger has stayed true to that promise to the Lannisters, but it is possible that the Starks’ victory might not be such a happy ending after all.